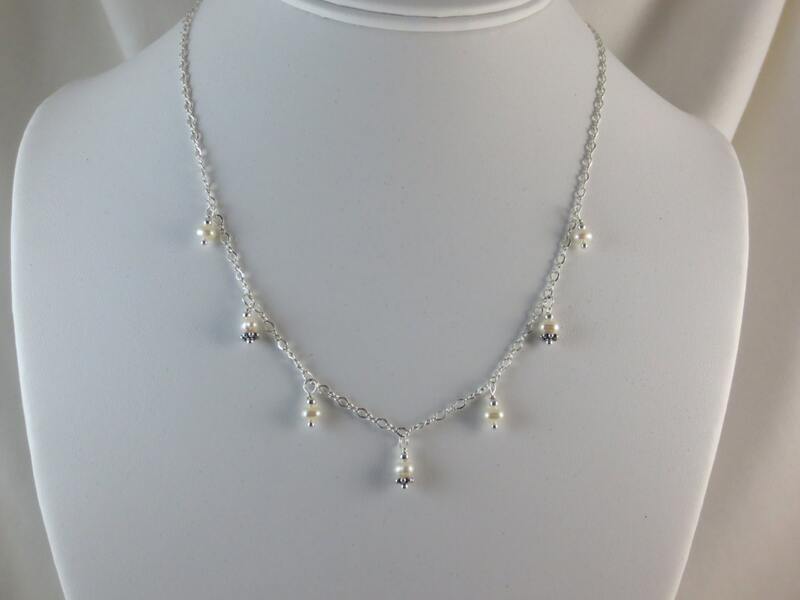 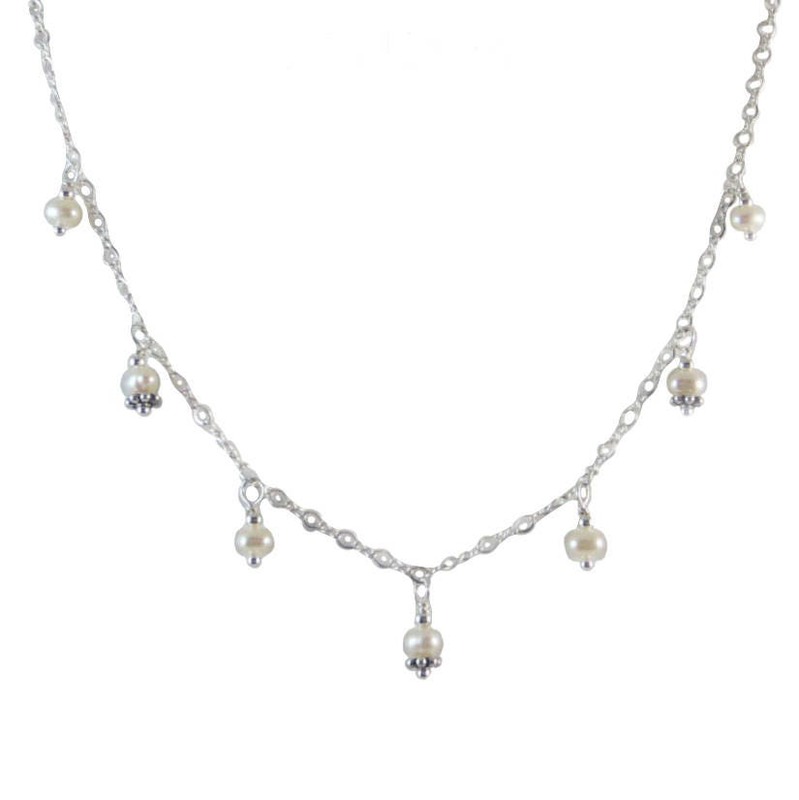 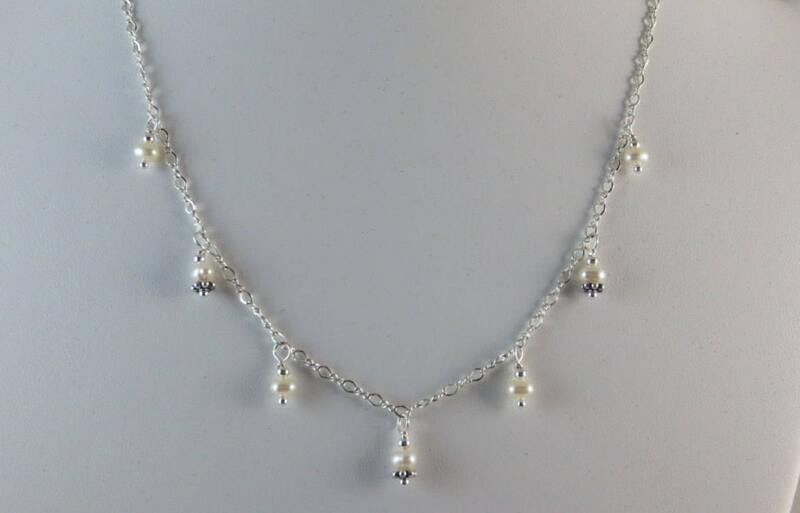 This 7 Drop White Pearl Necklace gives you a delicate, feminine look! 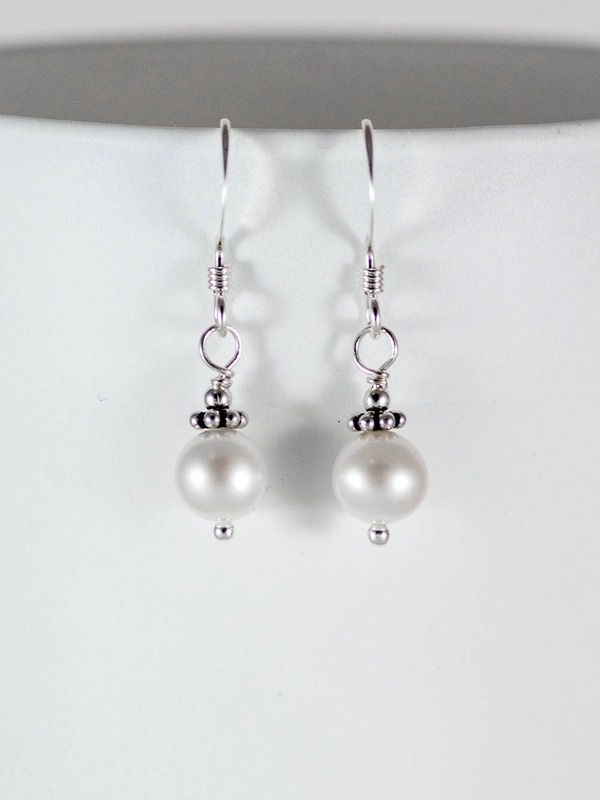 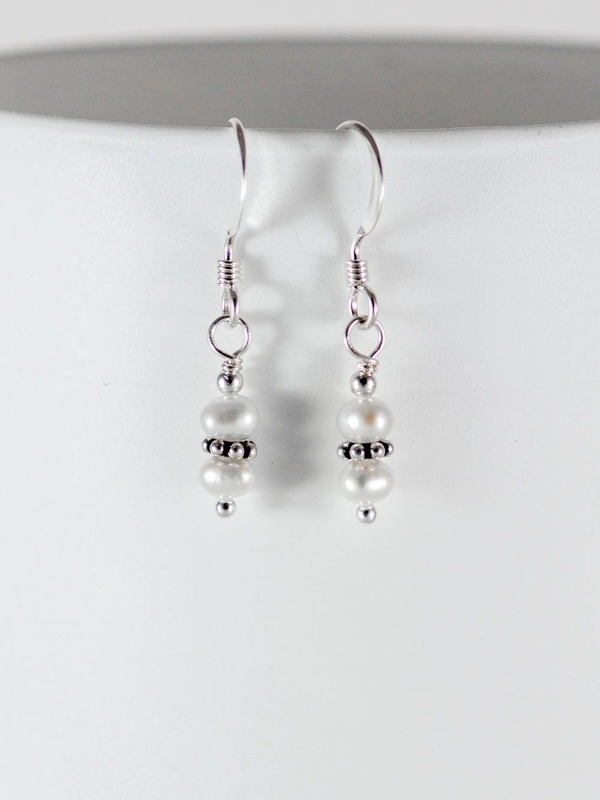 It comes with 4 mm White Fresh Water Pearl drops and somel Bali bead accents. 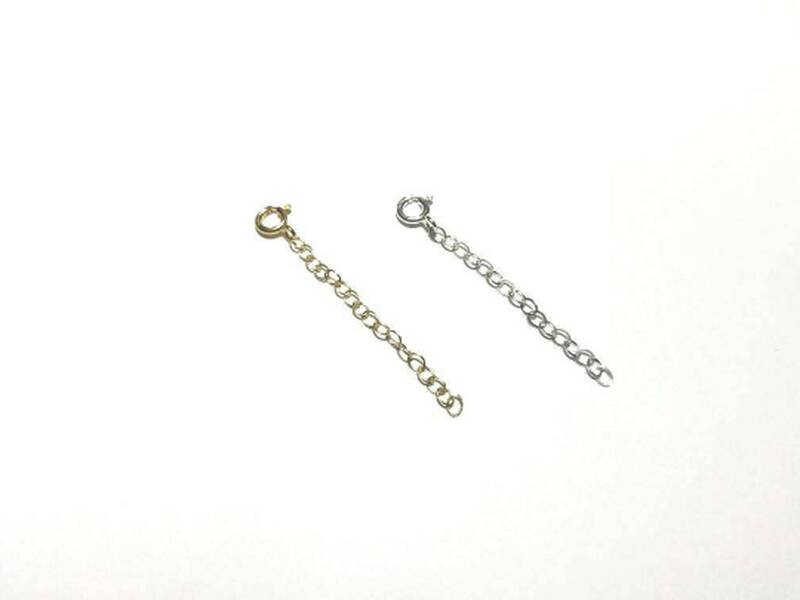 * Select Length from 13 to 20 inches at the same price. 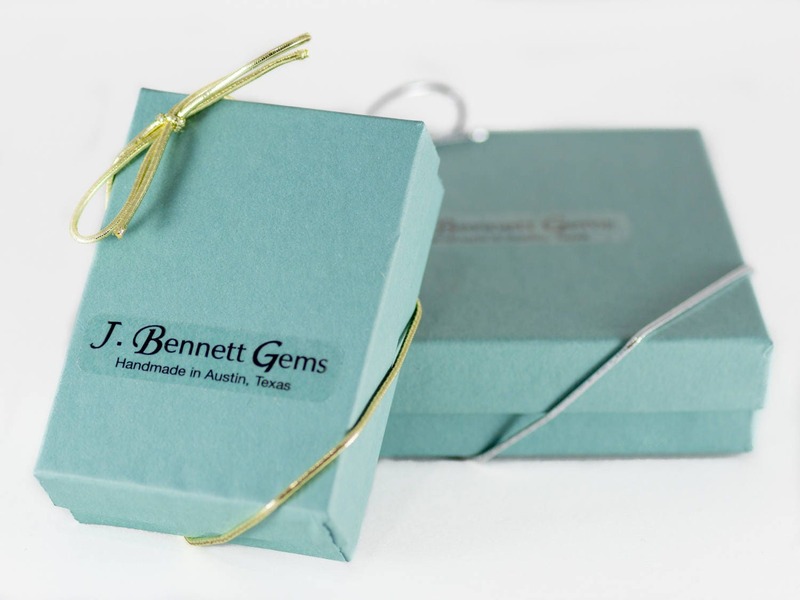 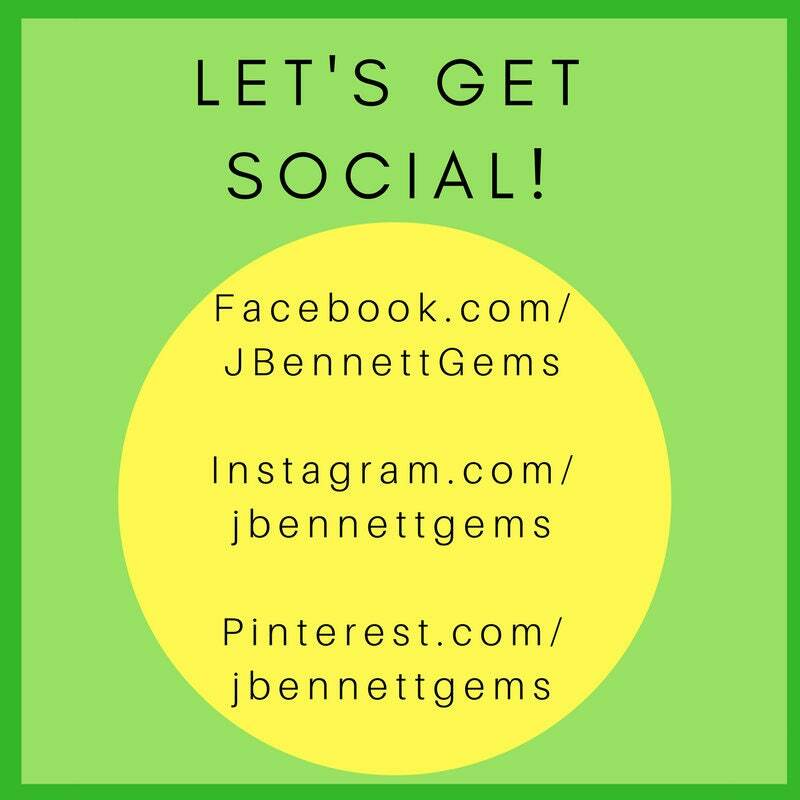 * Handmade with love in my studio in Austin, Texas.